Max Occupancy: 4 This Spacious pool or garden view room measures 300 square feet. 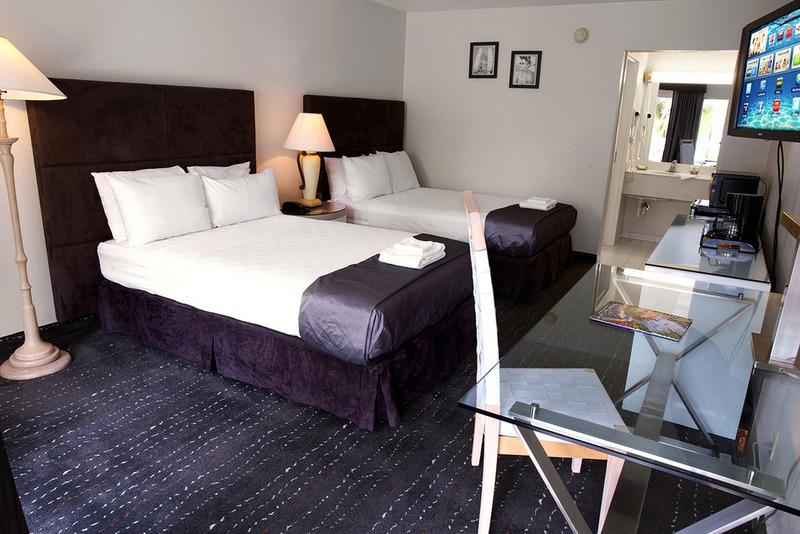 Enjoy a good night's sleep on a bed dressed with premium bedding and cotton linens. 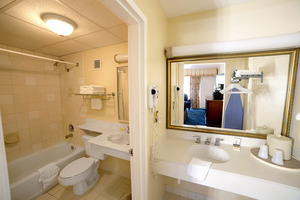 The bathroom has a shower/tub combination as well as designer toiletries and a double sink. 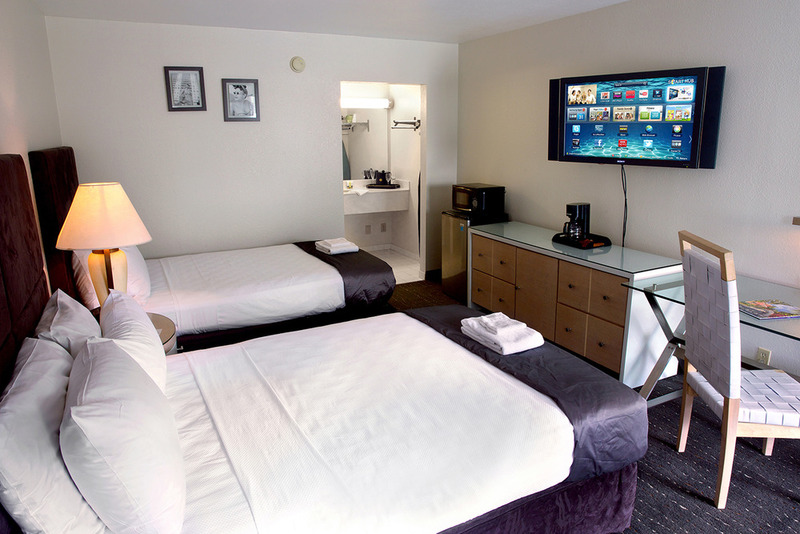 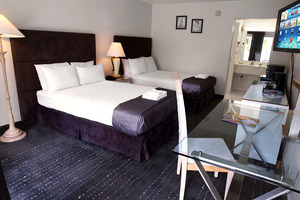 Complimentary wireless internet access keeps you connected, and the 42 inch Flat screen TV offers many cable channels and HBO. 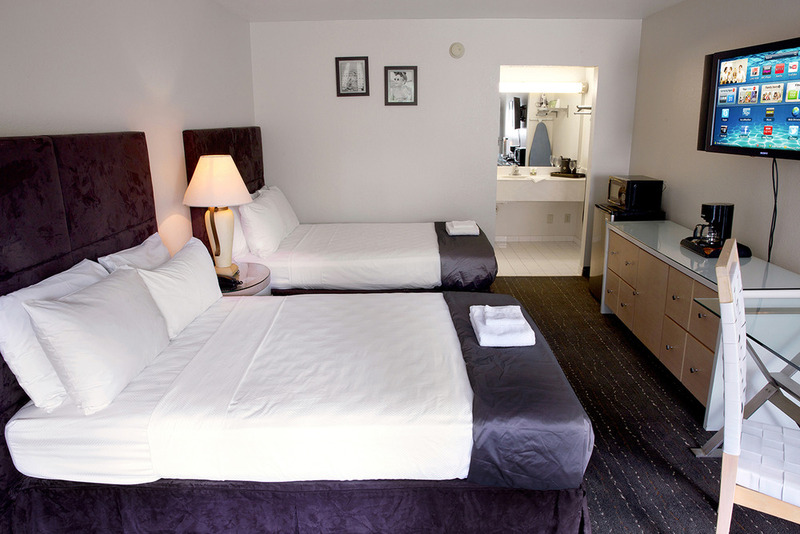 A coffee /tea maker,a microwave, and a refrigerator are supplied in room. 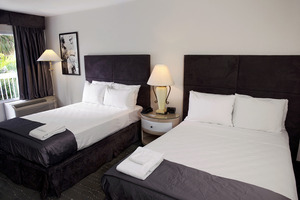 Free Continental breakfast with fresh fruit, wake-up call service and complimentary newspaper are among the conveniences offered. 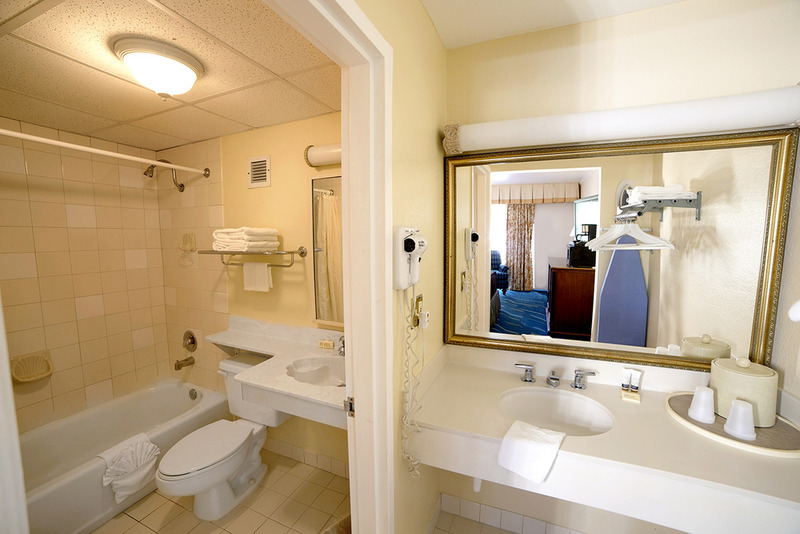 This room is Non-Smoking.